OrangePixel's Ashworld interestingly combines open-world survival gameplay with 2D platforming in a strange mashup of pixel-based post-apocalyptic madness. It was initially released on PC back in September of 2017, and it hit iOS three months later in December. 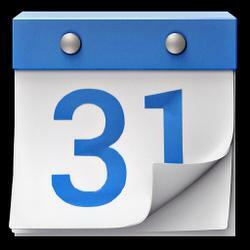 But as always, Android users have to wait patiently for their turn. Well, it would appear that Ashworld has finally landed on the Google Play Store as of this morning and you can grab it right now for $3.99. Most modern games are easy... or they're artificially hard and crawling with in-app purchases. The Meganoid series is neither. It's hard as nails and no amount of money will make it easier. There's a new Meganoid title out today, ready to crush your spirit and make you yearn for a $0.99 in-app purchase that will get you past that last boss. In an age when mobile games are too easy, there is still one last hope for a challenging/frustrating experience. Yes, I speak of roguelike games. Nothing increases the tension like perma-death. There's plenty of that in Heroes Of Loot 2 from OrangePixel. 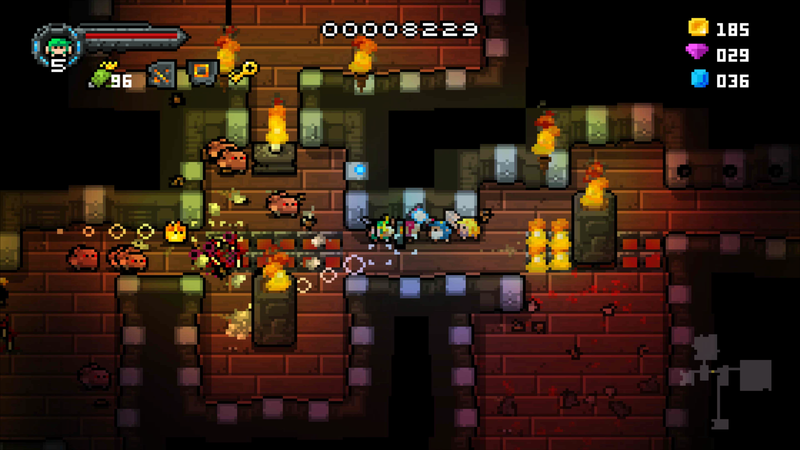 It also has wizards, dungeons, valkyries, and lots of monsters. When things get freaky in a moon base, who are you gonna call? Ghostbusters Space Grunts, of course. 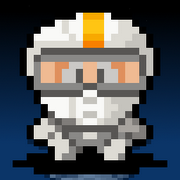 In OrangePixel's latest Android game, you take control of a Space Grunt and blast your way into said moon base to see what's going on. It's a dangerous mission, and you're going to die... a lot. The original Gunslugs' mix of bullet-filled, NES-inspired, platforming nostalgia attracted hundreds of thousands of downloads. 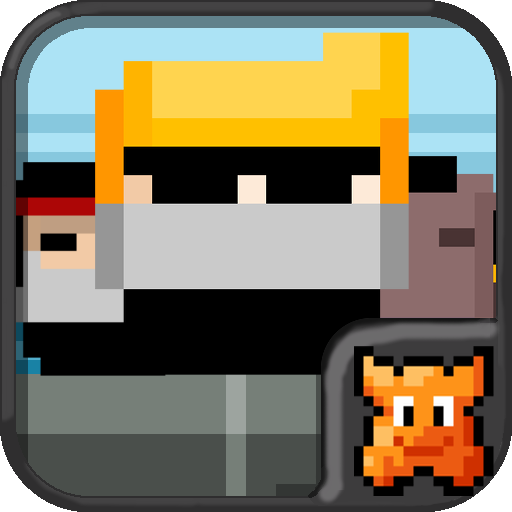 Now, two years to the day since we covered the original release, developer OrangePixel is back with a sequel, the creatively named Gunslugs 2. 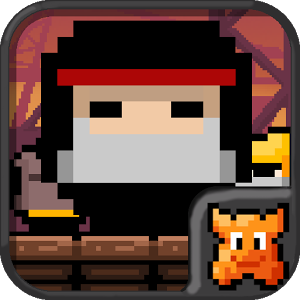 In Gunslugs 2, the Black Duck Army returns to take over the world in an adventure that may be as impacted by 80's action films as video games of yesteryear. In both cases, the moral is the same—there's no such thing as an evil plan that can't be overcome by overwhelming quantities of hot lead. The sequel supplies gamers with seven worlds divided into eight levels each. There's an almost obsessive quality to equipping and upgrading your character that makes the RPG genre so addictive for some players. OrangePixel's long-awaited Heroes Of Loot understands that and strips out all the unnecessary fluff like story, character development, and whiz-bang 3D graphics... to make room for more loot. 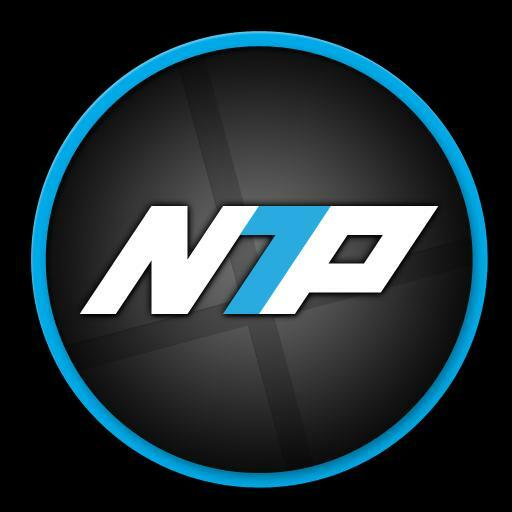 The game is available now on the Play Store in a $2 paid version or a free ad-supported version. Heroes Of Loot technically fits into the "roguelike" sub-genre thanks to semi-permanent player death and procedurally-generated dungeons. After your character dies you spawn (or for you pen and paper types, roll) a new one, keeping a few of the attributes from your former character/corpse. 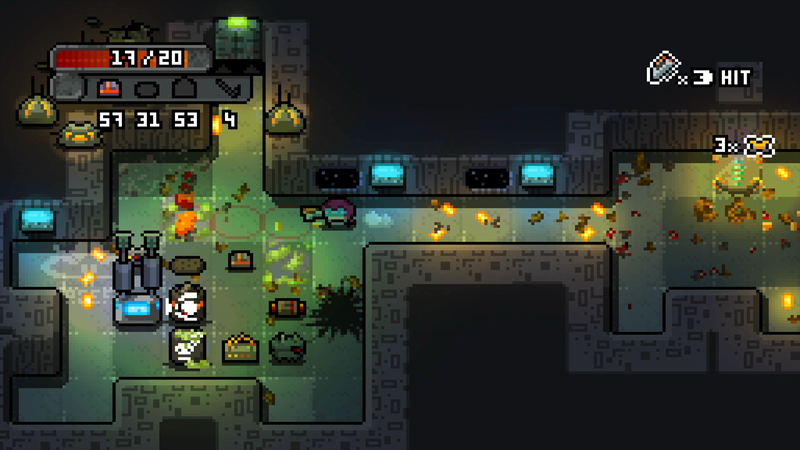 If you're a fan of action games and nostalgic 8-bit throwbacks, then OrangePixel's new title Gunslugs should be right up your alley. Featuring the NES-style graphics that OP is known for, alongside non-stop bullet-blazing action, Gunslugs in an adrenaline-fueled homage to the 80s action heroes of old. 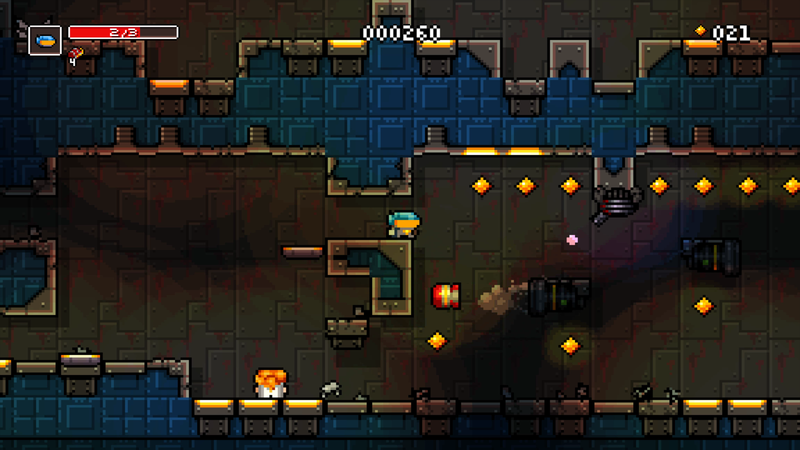 Gunslugs also throws a unique spin on the traditional platformer: it generates the levels randomly. Basically, that means levels will appear in a different order every time you play. Neat, right? Aside from that, it features unlockable characters, a badass chiptune soundtrack, tons of weapons, tanks, and jetpacks; secret levels, all sorts of other fun chaos. If you're not familiar with the 8-bit adventures developed by OrangePixel (see some of our past coverage here, and here), you should probably check them out. 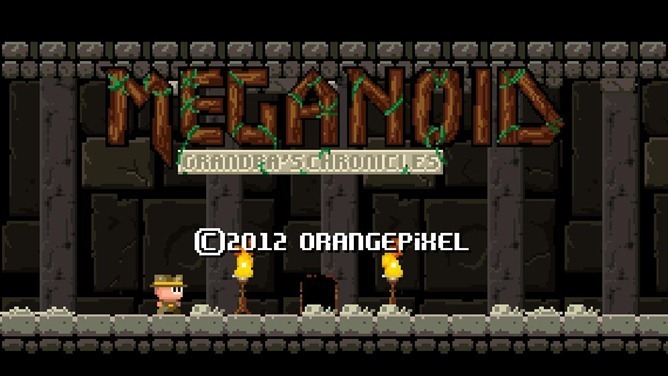 Their latest and greatest, Meganoid 2 - the sequel to their most popular title, Meganoid - just hit the Play Store. 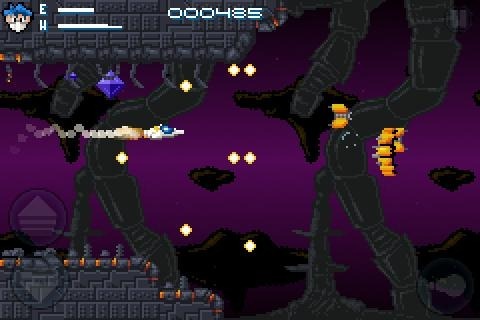 Meganoid is inspired by the ultra-difficult (and ultra-fun) platformers on the 1980's and 90's. And yes, it's supposed to look like that. Meganoid 2 will certainly provide hours of fun and frustration, and is a great pick-up game for killing time. It comes in both free (ad-supported) and paid versions, but given that the paid version is just a buck, it's not like OrangePixel's asking a lot. 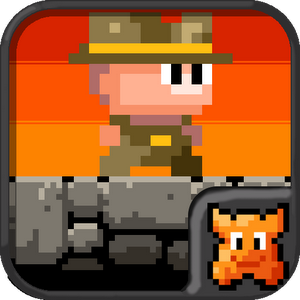 OrangePixel, the famous for retro-inspired hits like Stardash and Meganoid, debuted Chrono & Cash to the Play Store today, bringing another fun, low-res platformer to Android. 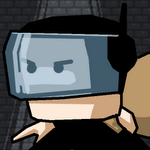 The game centers around Cash (a "talented thief") and his Chrono robot called CR2. The duo travel through time to rob various treasures from evildoers through a simple yet clever gameplay style. The visual style is consistent with OrangePixel's other offerings – well thought-out, colorful, and pleasing to the eye despite its (intentionally) low-res graphics. 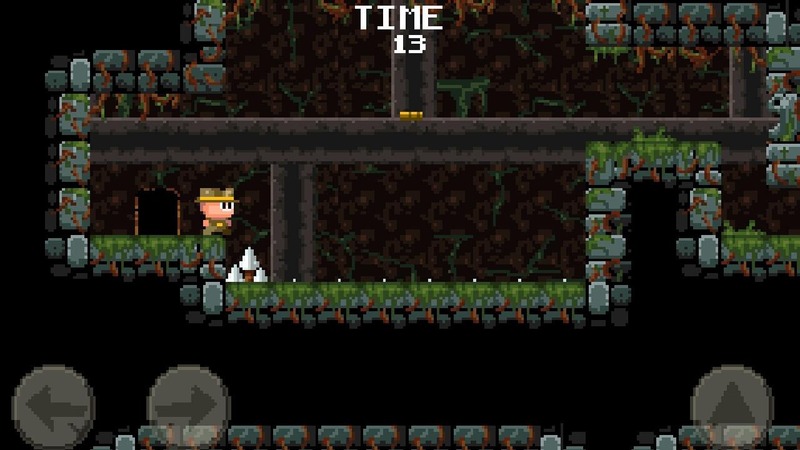 Each level is comprised of a single screen with a variety of platforms, each holding treasure which the player must grab while avoiding contact with "the locals." Adding some spice to the super-simple coin-op-inspired gameplay, Chrono & Cash offers players unlockable disguises and score challenges for an added dimension of difficulty. 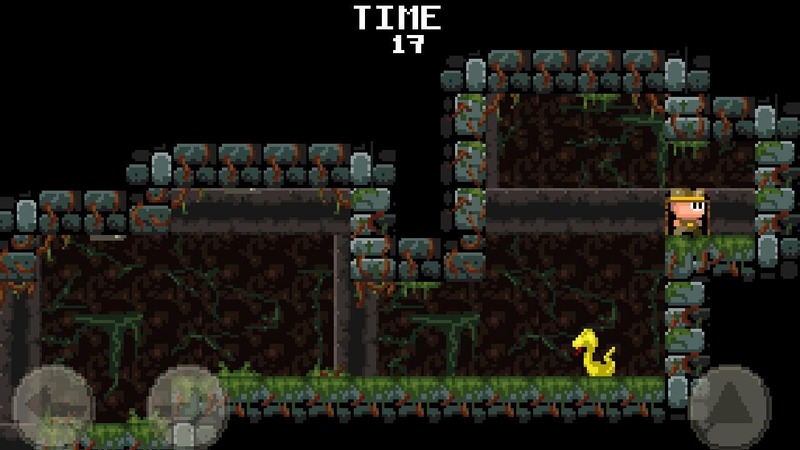 OrangePixel (the geniuses behind Meganoid and Stardash) released a new game to the Market today, bringing a retro-inspired side-scrolling shooter to Android with Neoteria. 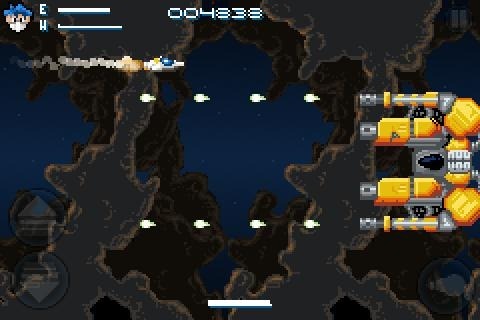 In the words of OrangePixel, Neoteria is a shmup: a classic horizontal shoot em up. The game relies on a quick thumb, meaning players will need to have plenty of finger strength to shoot through the thousands of aliens and multiple, 80s-inspired environments Neoteria offers. 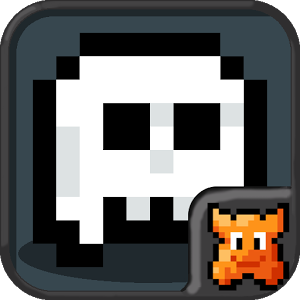 OrangePixel warns that "100% completion is not for the weak or casual gamer," noting that as players progress, they can unlock new pilots and difficulty modes, or discover hidden worlds. Besides being a fun, dynamic time waster, Neoteria is optimized for the Xperia PLAY, making its button-mashing gameplay that much more versatile.